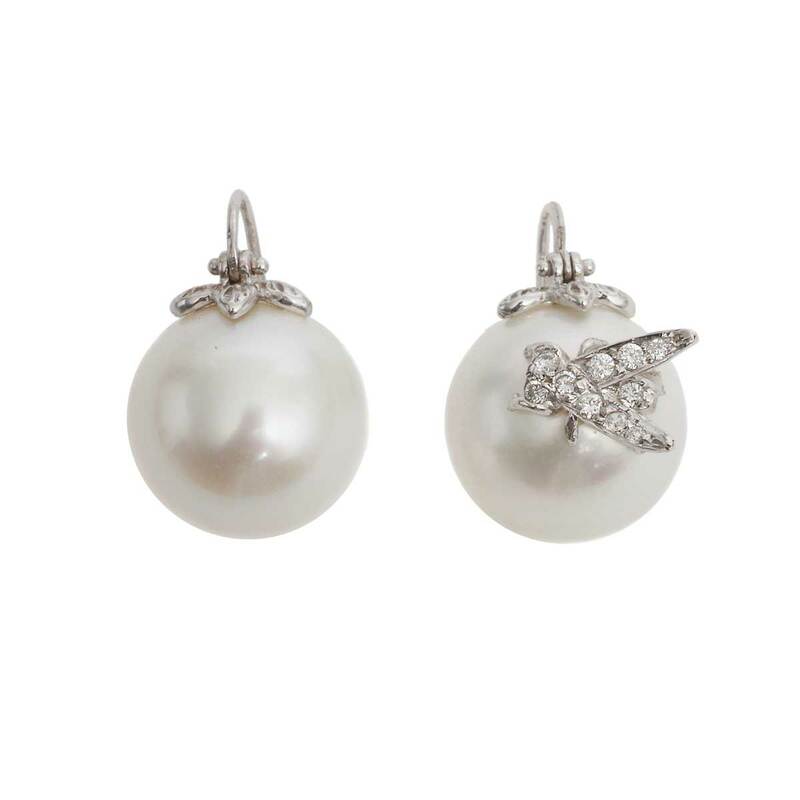 A subtle single diamond fly and added leaf detail give this otherwise classic Australian pearl drop earring a refreshing update. Handcrafted in 18K white gold with 13.5mm pearls and 0.45 tcw diamonds. Measures ¾”. 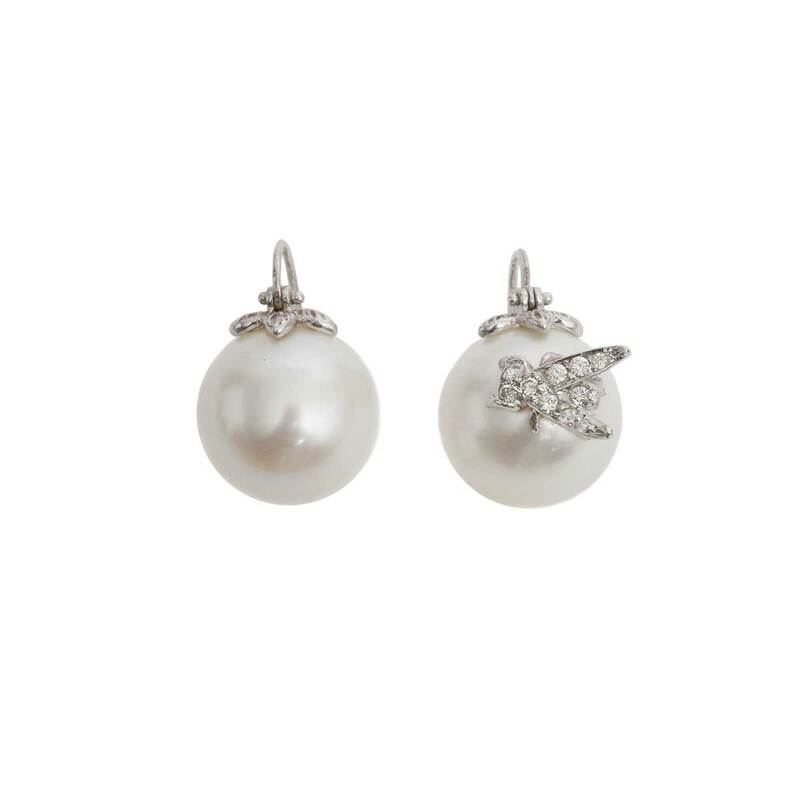 We love Samira 13’s modern approach to pearls. For special occasions or everyday, these earrings will instantly become part of your signature look.